Blood is always thicker than water. Joe Pickett has good reason to dislike Dallas Cates. His eighteen-year-old foster daughter, April, has just run off with him. Then comes even worse news: April has been found barely alive in a ditch along the highway, and the doctors don’t know if she’ll recover. Of course, Cates denies having anything to do with it but Joe knows in his gut who’s responsible. The problem is there’s no proof. Joe’s going to find out the truth, if it kills him. And, as he confronts the ruthless Cates clan, it just might. This is just one awesome series that really you need to read from the very beginning. It is a series that literally revolves round Joe Pickett, a Game Warden in Wyoming, his family, friends and people who play major roles in his life. There is history to them all, far too much to convey on catch up with a couple of sentences. Besides there are some absolute belting stories in each and every book. Having lost track of time I am on a three book binge to catch back up on the family and just Wow! has a lot happened while I have been away! April first came into the Pickett family lives when she was only 5, now all grown up and 18 she has been and always will be the wild cat of the three girls that make up Joe and Mary-Beth’s daughters. Now Joe has had more than his fair share of nut cases on his patch and some of them working in pretty high positions in the community so he isn’t new at treading on toes. The last book I read in the series saw April taking off with Dallas Cates, a wealthy wild boy and son of a dodgy business man who Joe had discredited. This book opens with a radio call telling Joe of a body of a young woman being found, just outside of town badly beaten and unconscious in a ditch. It is April. Nate Romanowski, who had been trained in Special Operations, always ended up getting the bad guys but it had a way of turning the tables on him because of uncover operations and a bit of freelance to help a friend now and again. To get out of jail he had just signed a deal with the agency, but with conditions. One being to stay away from the Pickett’s as Nate and Joe make a formidable team when bringing the bad guys down. This normally leaves a bit of a body count and a high tax bill for the state. You must read how these guys met. They are an incredible team. Now within the first chapter I must admit to salivating, oh this was like coming home at harvest time. C. J. Box just makes these characters come to life and feel like family. I hurt when they hurt and feel so protective of Joe’s girls as I have seen them grow up over the years to become independent young women, each of them with such different characters. I can’t say that Nate played a big part in this book but when he does make an appearance I just have to admit to the odd swoon from me. Just love the cool methodical way that Joe tackles every situation. I can feel his rage but love how he bides his time. Oh wow what a story unravels it is just superb. So tense, so heart in my mouth, so brilliantly cool! Talk about when a good plot comes together, well this one has a high-five start, middle and end. Now straight on to my next Joe Pickett book. for me. 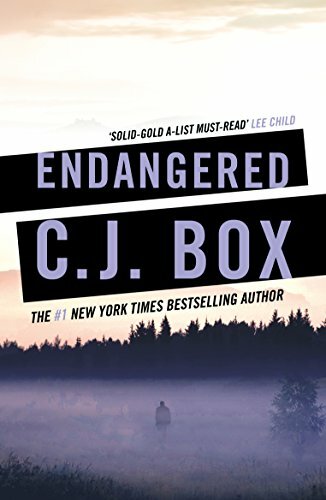 Edgar Award-winning author C.J. Box is the author of nineteen novels including the Joe Pickett series. He’s also won the Anthony Award, Prix Calibre 38 (France), the Macavity Award, the Gumshoe Award, and the Barry Award. His short stories have been featured in America’s Best Mystery Stories of 2006 and limited-edition printings. 2008 novel BLOOD TRAIL was nominated for the International IMPAC Dublin (Ireland) Literary Award. 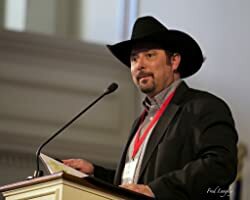 Box is a Wyoming native and has worked as a ranch hand, surveyor, fishing guide, a small town newspaper reporter and editor, and he co-owns an international tourism marketing firm with his wife Laurie. They have three daughters. An avid outdoorsman, Box has hunted, fished, hiked, ridden, and skied throughout Wyoming and the Mountain West. He served on the Board of Directors for the Cheyenne Frontier Days Rodeo. Box lives in Wyoming.